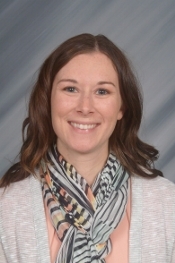 Kathleen Houdek earned her Bachelor’s Degree in Education from Aquinas College, and her Master’s Degree in Early Childhood Education from Grand Valley State University. This is her ninth year of teaching, and second year at Holy Spirit, where she attended grade school. Go Titans! Her favorite things about teaching first grade are helping the students become great readers and grow in their relationships with the Lord. Kathleen is also very involved in the music ministry at church–directing the Children’s Choir, singing in the Praise Band, and cantoring at Mass. Kathleen and her husband Joe have two boys, Christian and Ian. Christian is a preschooler here at Holy Spirit. As a family they love being active and traveling, especially to National Parks. 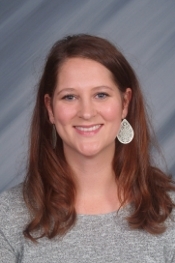 Laura Stroh earned her Bachelor’s Degree in Education from Ferris State University and is currently working toward her Master’s Degree in Education from Grand Valley State University. This is her tenth year of teaching, and second year at Holy Spirit, where she too was a student. She loves helping first graders grow in their faith, develop a love for reading, and become confident in math skills. Laura and her husband Justin are members of Holy Spirit Parish and they have two children, Lily and Liam, and a dog, Mugsy. Lily is a first grader here at Holy Spirit School. Laura’s favorite thing to do is spend time as a family playing games and being outdoors. They also love to travel to Disney World and have taken many family vacations there!